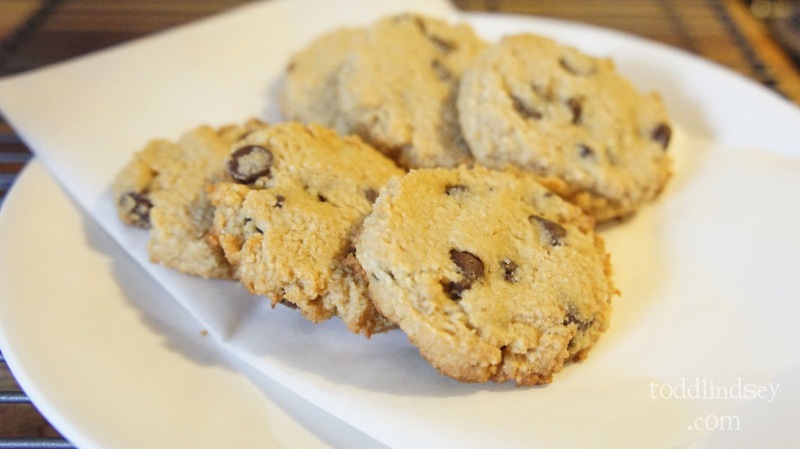 I was so excited to try out these low carb Chocolate Chip Cookies and I was not dissapointed. They were delicious! 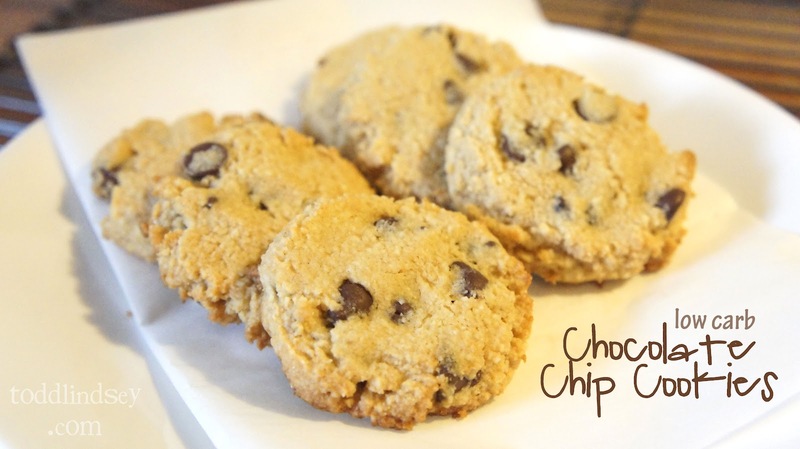 If you love a soft chocolate chip cookie, this is the recipe for you! I omitted the walnuts and used a different chocolate chip. 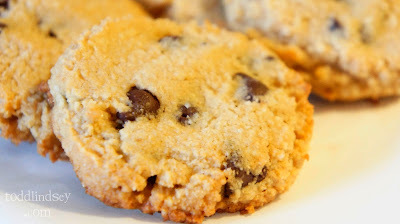 These cookies only have about 2.5 carbs per cookie! Now, that's not an exact bit of nutritional information but it's around that number. Don't they look yummy?! Preheat the oven to 350* and line a cookie sheet with parchment paper. In a large bowl, cream the butter and both sugars until smooth. In a separate bowl, whisk the two flours and baking soda until they are evenly combined. Slowly add the flour mixture into the wet mixture and mix until just combined. Using a medium cookie scoop, place 2 inches apart on the cookie sheet. 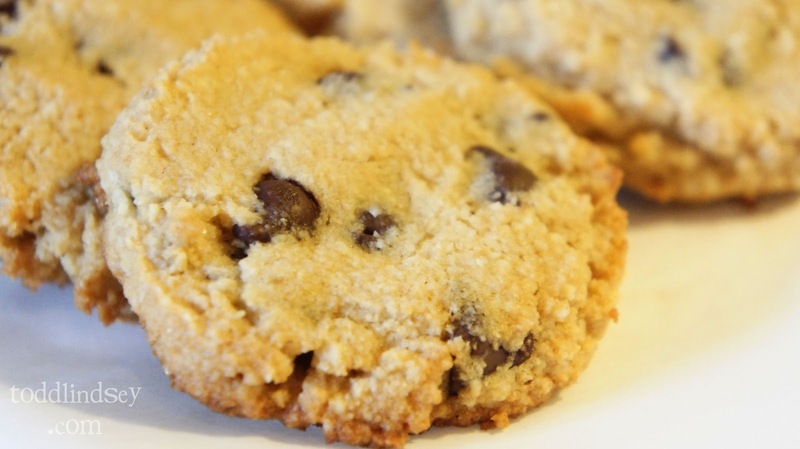 Using your fingers or a rubber spatula, flatten the cookies so that they are 1/4 inch thick. The cookies will not flatten out during baking on their own! Bake for 10-12 minutes or until the bottom is golden brown. The cookies will still be soft and may NOT be golden brown on top. Cool on the cookie sheet for 2 minutes. Remove cookies to a wire rack to cool for an additional 30 minutes before eating. These look awesome! My husband and I have been trying really hard for the past month to watch what we eat, but it's been kind of hard considering I think we have the biggest sweet tooths in the world haha I'll have to give these a go! 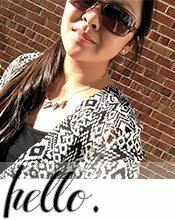 Thank you for sharing :) I found you from Someday Crafts and I am now your newest follower!! They look yummy!! I need to save this to try. Visiting from Wicked Awesome Wednesday. They do look really good, I'll bet the almond and coconut flours make them extra delicious! What a delicious and not as bad for you looking treat! I love that these can satisfy a sweet tooth yet not be horrible for the waist line!! I'd love for you to share these at Mom's Test Meal Monday's link party!